After winter break, we're aiming to help students learn about measurement. My center tubs are ready to go. Want to peek? Center #1: I can describe measurable attributes. Center #2: I can compare objects with the same attribute. 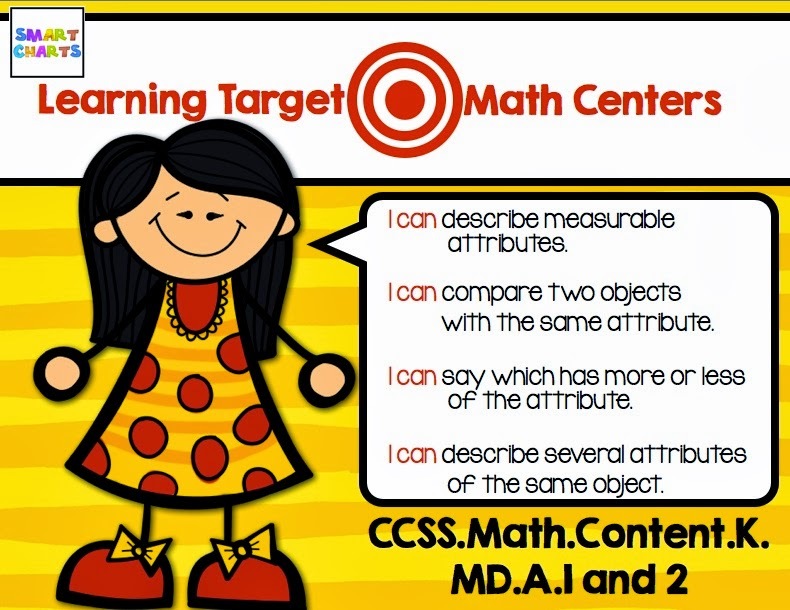 Center #3: I can describe measurable attributes. Center #4: I can compare objects with the same attribute. Center #5: I can describe more than one attribute. Center #6: I can say which has more or less of an attribute. GA Blogger Meetup on March 22! Work Smarter = New Blog Design! I'm in Love with Linking Up!